The Arrecife Gran Hotel & Spa is a modern 5-star hotel situated in the centre of the island with its magnificent El Reducto Beach at its feet, combines luxury with comfort and good service. 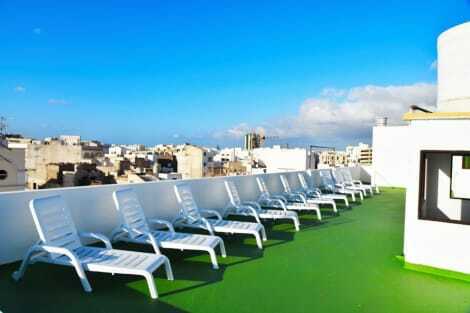 Its excellent location next to the historical town and the gastronomic and commercial zone of Arrecife, only 5 minutes away from the airport and the port, makes this hotel one of the best of Lanzarote. The Arrecife Gran Hotel & Spa has also got an exclusive Spa, ideal for relaxing in the water circuit or for enjoying one of the fantastic treatments. The 160 rooms and suites are very spacious, comfortable and all have big windows which offer the best panoramic views of Lanzarote. All of them include free Wi-Fi, flat-screen TVs, mini-bars (for a fee) and safe. Its exquisite decoration is combined with a luxurious service in an ideal atmosphere to enjoy. Altamar Restaurant is located on the top floor of the hotel. Its incomparable and magnificent panoramic views are combined with an elegant design which evokes the turquoise green of the bay creating a unique atmosphere. The local products prepared in a simple way are the centre of explosion of natural tastes which reinterprets the cuisine of Lanzarote. Star City Coffee & Gastro Bar is a new cafe and restaurant concept that, after months of work and a complete renovation of the premises, opens its doors to provide a 100% marketable product bet and an open-all-hours kitchen to get great food at all times. The exuberating terrace and covered pool offer a special place with spectacular views over the El Reducto beach. It opens at midday to enjoy a relaxed and informal meal such as tapas, salads, hamburgers and snacks. In the evenings it is a meeting point to enjoy a glass of our selection of premium gin or a refreshing cocktail. The Hotel Diamar is situated opposite the Reducto Beach and at the nice promenade in the city of Arrecife, capital of the island of Lanzarote. The hotel has 3 star superior category and has 96 rooms, 3 of them are suites with sea view. It offers a modern system of Wi-Fi high speed free. All rooms have air conditioning, satellite TV flat screen 43-inch LED, private bathroom with tub and hairdryer. Plenty of the rooms have ocean front views. Ours guests may enjoy the services of a restaurant with buffet breakfast and dinner, bar, coffee-shop and outdoor terrace overlooking the Reducto Beach. The Hotel Diamar also features a meeting room and lounges. The property is located in the center of the city, 5 minutes walk from a variety of shops, bars and restaurants. El Charco de San Gines, which has charm, is a 10-minute walk. Lanzarote International Airport and the Marina of Arrecife are just 5 kms. away. Stay in one of 37 guestrooms featuring LCD televisions. Complimentary wireless Internet access is available to keep you connected. Private bathrooms with showers feature rainfall showerheads and complimentary toiletries. Conveniences include desks and electric kettles, and housekeeping is provided daily. Take advantage of recreation opportunities including an outdoor pool and bicycles to rent. Additional amenities at this apartment include complimentary wireless Internet access and tour/ticket assistance. Make yourself at home in one of the 17 guestrooms, featuring kitchens with full-sized refrigerators/freezers and microwaves. Rooms have private balconies. Complimentary wireless Internet access keeps you connected, and DVD players are provided for your entertainment. Conveniences include desks and separate sitting areas, and housekeeping is provided daily. lastminute.com has a fantastic range of hotels in Arrecife, with everything from cheap hotels to luxurious five star accommodation available. We like to live up to our last minute name so remember you can book any one of our excellent Arrecife hotels up until midnight and stay the same night.